I had my first hot flash in a Madewell store, and my first thought was, If you’re having hot flashes, you’re too old to shop at Madewell. But I continue to find stuff to like there, and the prices are hard to beat. I would love to be able to pull of this Carhartt coverall. And the stripes on this tee are just how I like them: nice and wide. The eyelet here is a pretty touch, and you know how I’m liking red lately. This skirt just looks really feminine and easy. 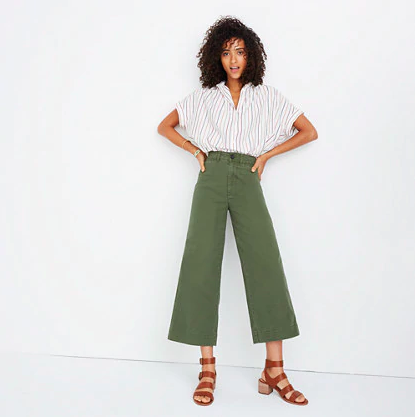 These cropped pants intrigue me—as cropped, wide-leg pants continue to do, and I like the army green. 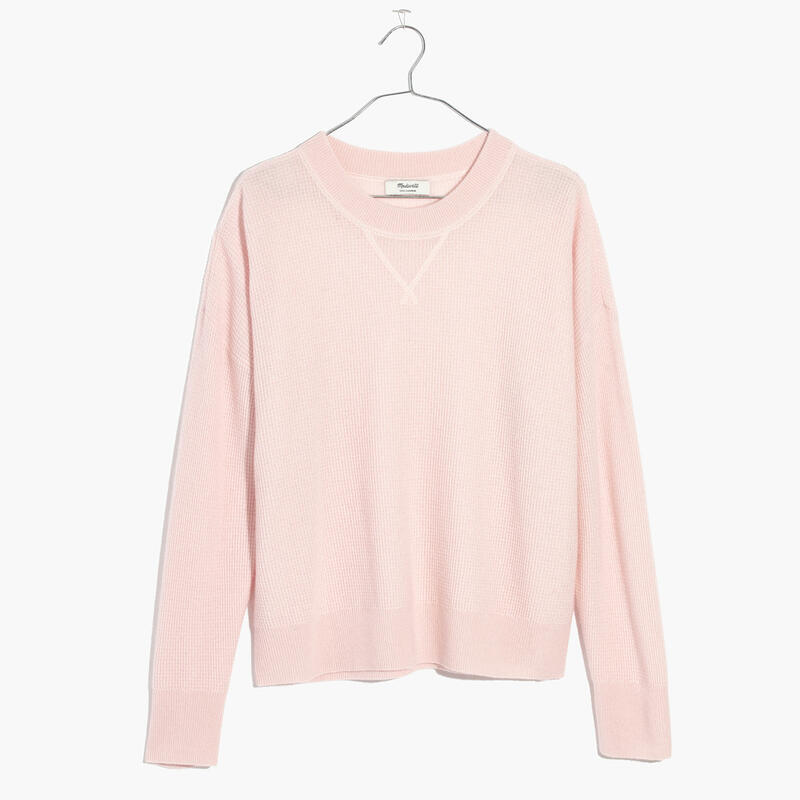 A waffle-knit cashmere sweatshirt in that pink I also continue to be intrigued by. 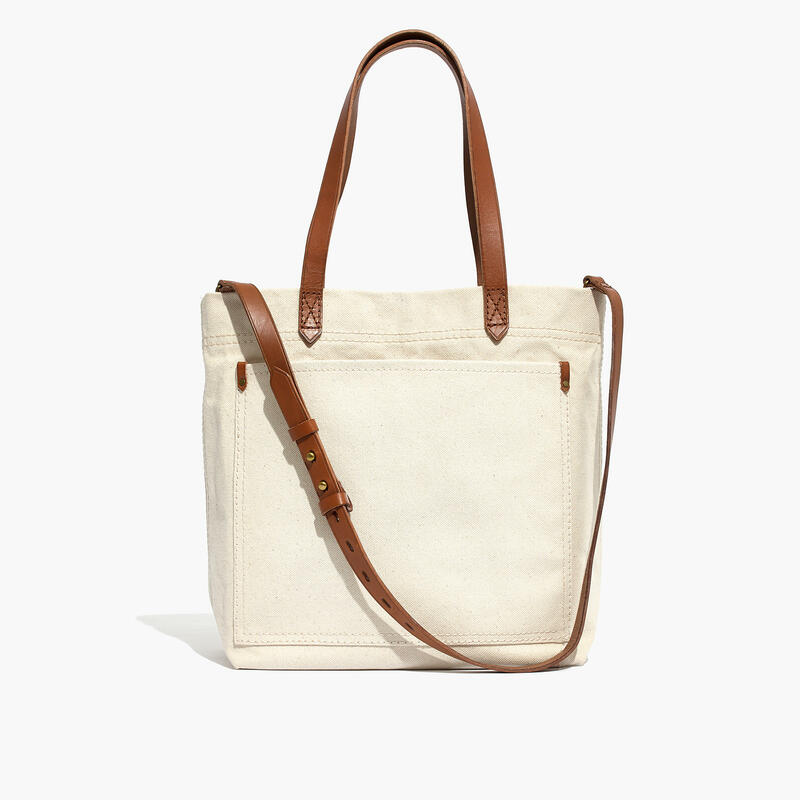 And finally: I adore the contrast between the off-white canvas and the brown leather on this tote: so rich and preppy chic. I feel very validated that you also like Madewell even if you have wondered whether or not you are too old to shop there. I have had the same thought, but I also keep going back and love much of what they offer. And though I haven’t had a hot flash in Madewell, I am currently having hot flashes much of the time in life, ugh!! Trying black cohosh but it hasn’t kicked in yet. Thanks for your website, I love it! I feel very validated that you also like Madewell even if you have wondered whether or not you are too old to shop there. I have had the same thought, but I also keep going back and love much of what they offer. And though I haven't had a hot flash in Madewell, I am currently having hot flashes much of the time in life, ugh!! Trying black cohosh but it hasn't kicked in yet. Thanks for your website, I love it! 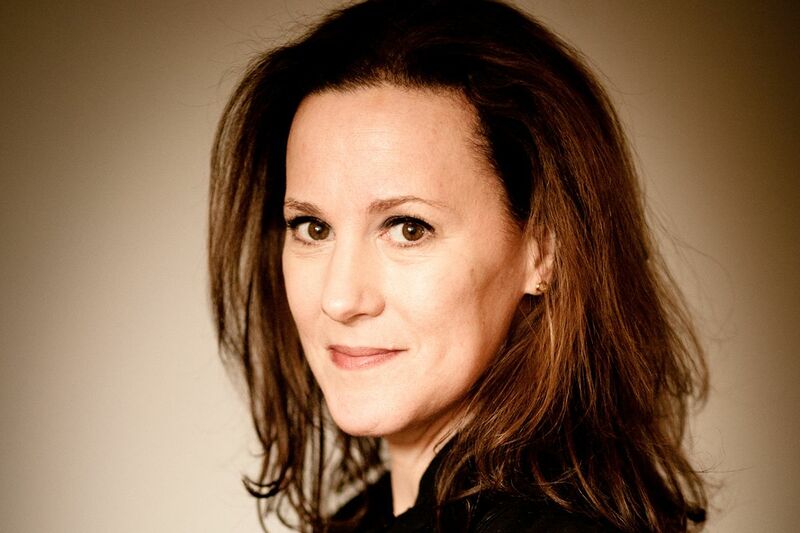 I’m 57 and shop Madewell constantly. Is everything they offer for me? Not by a long shot. But a whole lot is and well-priced at that. Also, good customer service. Wish there were more online stores like this. I'm 57 and shop Madewell constantly. Is everything they offer for me? Not by a long shot. But a whole lot is and well-priced at that. Also, good customer service. Wish there were more online stores like this. Oh. Do you think that if you scotch-guarded that tote, it would stay clean? If not, I’d be a fool to buy it in that color. White and off-white hate me. LOL. Oh. Do you think that if you scotch-guarded that tote, it would stay clean? If not, I'd be a fool to buy it in that color. White and off-white hate me. LOL. Congrats on the Wall Street Journal article! Hope there are many more. I am going for the poppy red top. It will go great with red lipstick and white hair. Cotton is great for keeping cool during a hot flash. Congrats on the Wall Street Journal article! Hope there are many more. I am going for the poppy red top. It will go great with red lipstick and white hair. Cotton is great for keeping cool during a hot flash. The links aren’t working for me, but I may be alone in this as my computer has gone rather rogue in deciding where viruses might be. I don’t think I can do a coverall, but if I could I would jump into that Carhart one for sure!! And the red eyelet top is a standout! The links aren't working for me, but I may be alone in this as my computer has gone rather rogue in deciding where viruses might be. I don't think I can do a coverall, but if I could I would jump into that Carhart one for sure!! 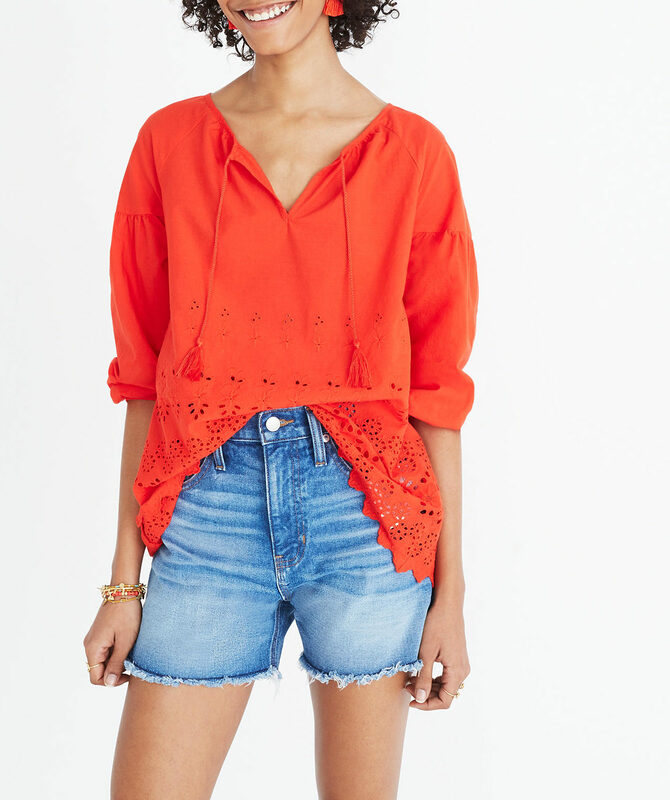 And the red eyelet top is a standout! Links also aren’t working for me! If I buy anything, I want to be sure the commission goes to you, so it would be worth double checking that they work for others. Links also aren't working for me! If I buy anything, I want to be sure the commission goes to you, so it would be worth double checking that they work for others. As aside: On the Shondaland web site is an article about jumpsuits titled "We Can't Pee, But We Look Fabulous." 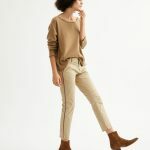 Cute Madewell stuff but links not working for me. 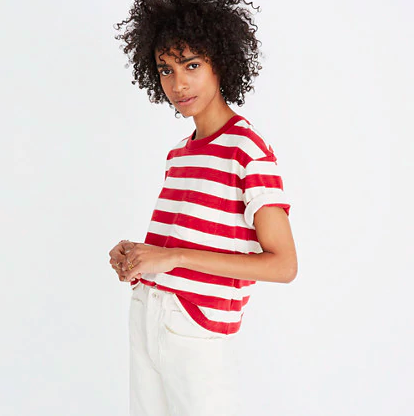 Love the red eyelet top and the red & white striped top, but links not working for me. I feel ya on the hot flash. Madewell is a store I end up in with my daughters and I do find myself tempted by a lot of things. They have done a great job lately with accessories, too, and the price point is doable. But when my 15 year old puts the things on and they look so right on her, I have to get real. Side note: I just received my Everlane white jacket that Kim posted a week or so ago and it is FABULOUS. It is not stark white, but more canvas white. There’s an inside waist drawstring so you can make it more formfitting and it is well made and sturdy, but still soft! Love it. This jacket will be heading East with me in May. Thank you, Kim for this recommendation!!!! Side note: I just received my Everlane white jacket that Kim posted a week or so ago and it is FABULOUS. It is not stark white, but more canvas white. There's an inside waist drawstring so you can make it more formfitting and it is well made and sturdy, but still soft! Love it. This jacket will be heading East with me in May. Thank you, Kim for this recommendation!!!! When I first started shopping at Madewell (ten years ago? ), it was more ageless than it feels now. Back then, it was like a hipper JCrew, or JCrew but with a British vibe. 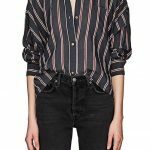 For the last few years, they seem to have embraced all of the trends that appeal to a younger crowd, like raw hems, ripped jeans, mom jeans, crushed velvet, big florals, and bare shoulders. They are now more like a slightly cooler Urban Outfitters. It is much harder for me to find the hip classics that once made up most of their inventory. When I first started shopping at Madewell (ten years ago? ), it was more ageless than it feels now. Back then, it was like a hipper JCrew, or JCrew but with a British vibe. For the last few years, they seem to have embraced all of the trends that appeal to a younger crowd, like raw hems, ripped jeans, mom jeans, crushed velvet, big florals, and bare shoulders. They are now more like a slightly cooler Urban Outfitters. It is much harder for me to find the hip classics that once made up most of their inventory. I agree with you, Rae. My sixteen-year-old buys the mini-skirts and dresses with the cute cut-outs at the waist, while I (52) buy pants, jeans, tees, and some date-night clothes there. I scored a Madewell/No.6 collab item during the winter sales that I love to pieces. It’s a strappy striped silk jumpsuit that I get compliments on whenever I wear it. I agree with you, Rae. My sixteen-year-old buys the mini-skirts and dresses with the cute cut-outs at the waist, while I (52) buy pants, jeans, tees, and some date-night clothes there. I scored a Madewell/No.6 collab item during the winter sales that I love to pieces. It's a strappy striped silk jumpsuit that I get compliments on whenever I wear it. Oooh. I love this post! Styling them has been interesting. The issue is that I have been around (a while) and having worn overalls in other iterations, the styling was different then. Are we doing baggier shirts now, does it matter if the hem pops out? I have seen a million variations on Pinterest. My inclination is to put a body suit under it, circa 1992 and I’m like so wait, the kids are doing that, and I’ve DONE that, but is it weird to do it again? HALP. Where do you all stand on overalls? Oooh. I love this post! So, I had a similar moment in Madewell, decided I didn't care, and bought some skinny overalls. #idowhatiwant Styling them has been interesting. The issue is that I have been around (a while) and having worn overalls in other iterations, the styling was different then. Are we doing baggier shirts now, does it matter if the hem pops out? I have seen a million variations on Pinterest. My inclination is to put a body suit under it, circa 1992 and I'm like so wait, the kids are doing that, and I've DONE that, but is it weird to do it again? HALP. Where do you all stand on overalls? 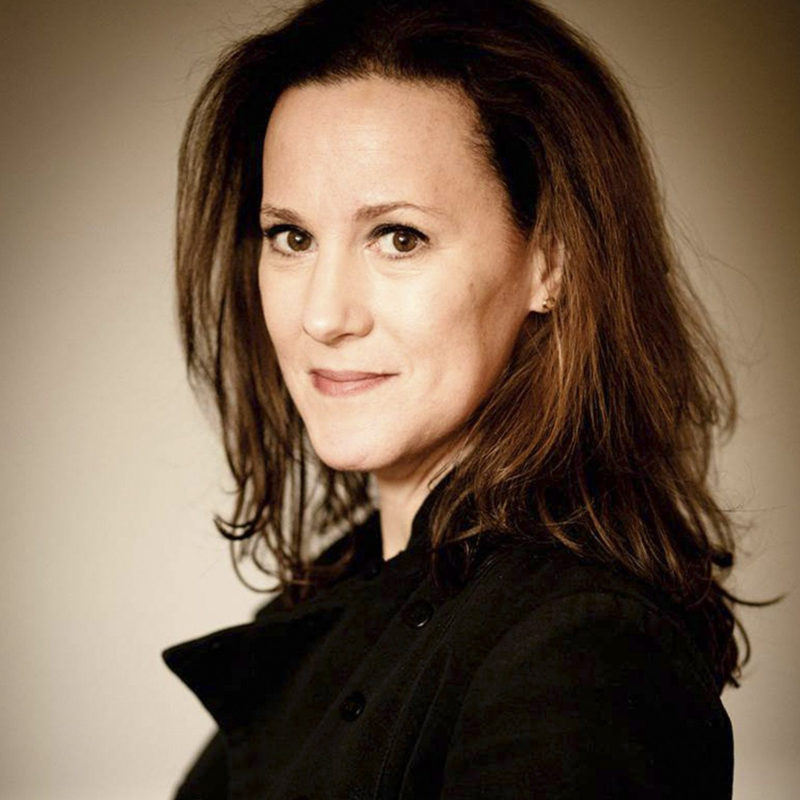 Okay, so how about a But I Digress on first hot flashes? Or one about vivid memories thatoccurred in dyores, having nothing to fo eith the store? I love the striped skirt and will probably buy it since I just bought the ringer tee it’s pictured with last week. 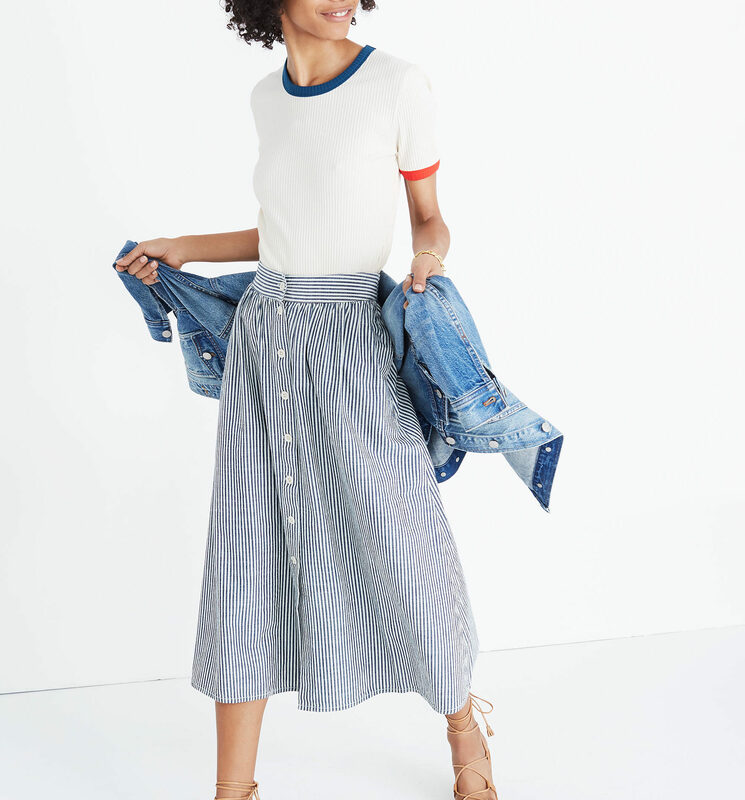 I too feel too old for Madewell, however I’m absolutely obsessed with their denim. While it’s not cheap, it’s much less expensive than designer denim and so flattering. I too feel too old for Madewell, however I'm absolutely obsessed with their denim. While it's not cheap, it's much less expensive than designer denim and so flattering.